Many of us are wondering why we have to work harder than some others, to get what we want and where we need to be; also often times there seems to be some challenge or conflict to hurdle over. If you take a moment to reflect back on history, you’ll see that changes are and have been made when the biggest challenges and conflicts are present. If you find yourself ending your day with the thought of all the work that lies ahead, and the challenges you have to face, be confident that means a change is needed and coming! 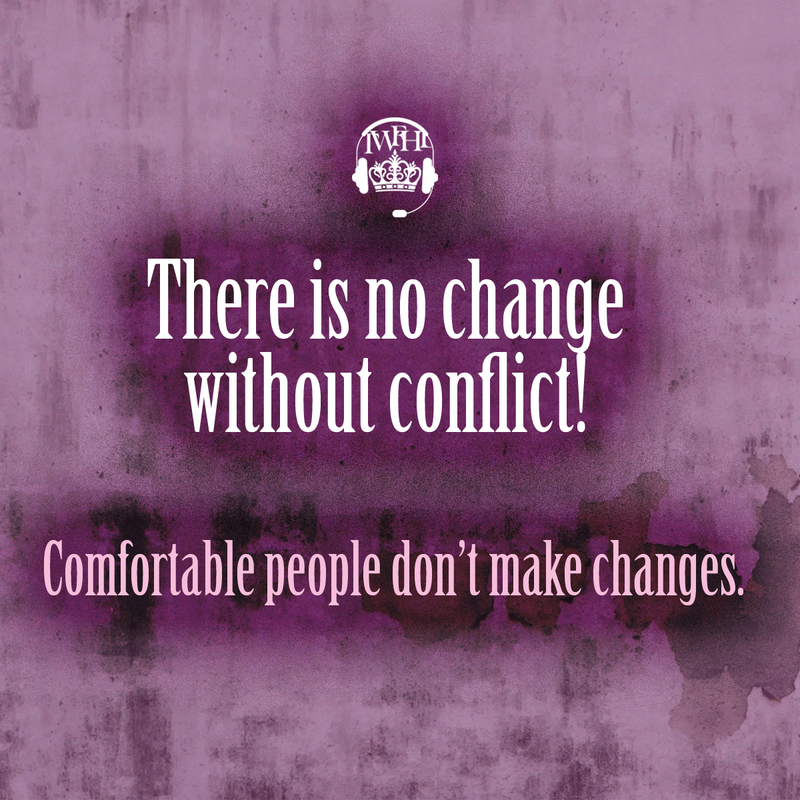 Comfortable people don’t make changes.